Expressions of interest are being sought for the sale of Fairfax Media’s landmark 5.19ha* property at 58-68 Delancey Street, Ormiston. For sale by Ray White Commercial Bayside. 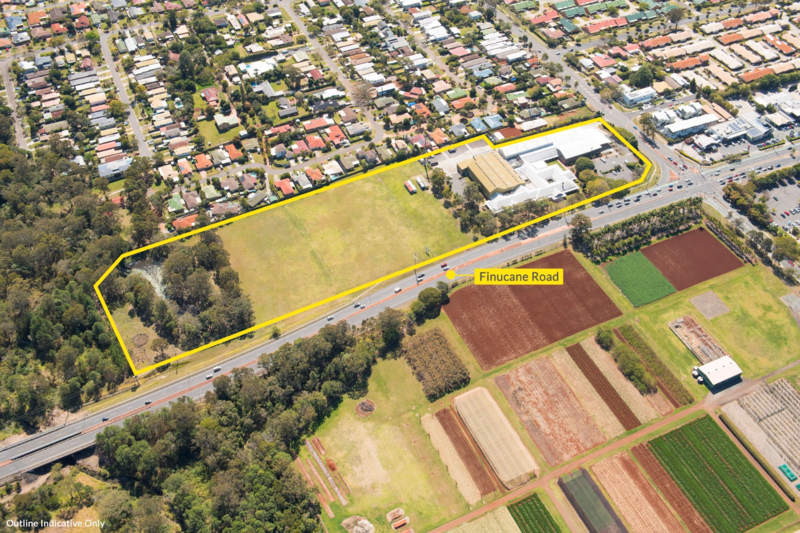 Positioned 25km* east of Brisbane CBD, the asset offers 5,160m² of well-maintained office and warehouse buildings (being offered vacant possession) with a variety of development options possible. Ray White Commercial Bayside Director Nathan Moore, who is marketing the redevelopment site with colleagues from Ray White Special Projects, said both the positioning and location of the site were key drawcards for potential buyers. “Being located on the corner of Delancey Street and Finucane Street offers a highly visible corner position with more than 40,000 vehicles^ passing each day,” Mr Moore said. Find out more on Ray White Special Projects website. Andrew Burke, of Ray White Special Projects, said the multiple development opportunities would make the asset appeal to a broad range of buyers. “It’s rare for an opportunity of this scale like this to become available in the Redlands area. Subject to council approval, development options include retail, commercial, residential, and more,” Mr Burke said. View 58-68 Delancey Street, Ormiston on the Ray White Special Projects website. Expressions of interest close on Thursday 18 October 2018. Visit the Ray White Special Projects QLD website to view all properties for sale.